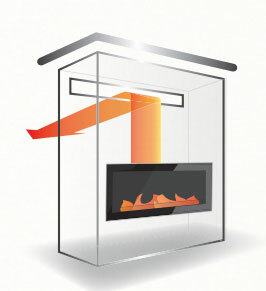 Napoleon’s patent pending, industry leading Dynamic Heat Control™ System allows for installation of combustible materials up to the fireplace opening. This heat management system eliminates the need for loud power vents, fan systems or blowers to provide better heat distribution. Take advantage of simple installation framing and easily install your televisions, sound bars or artwork above the fireplace to truly customize your home decor thanks to the drastically reduced temperatures above the fireplace. The DHC Plus™ System is designed for advanced heat management allowing you to enjoy the ambiance of your fireplace anytime of the year in complete comfort. Installing the DHC™ Plus system will let you send the heat outside during the warmer months, allowing for comfortable summer usage. The Ultimate in Flexibility for Complete Comfort! 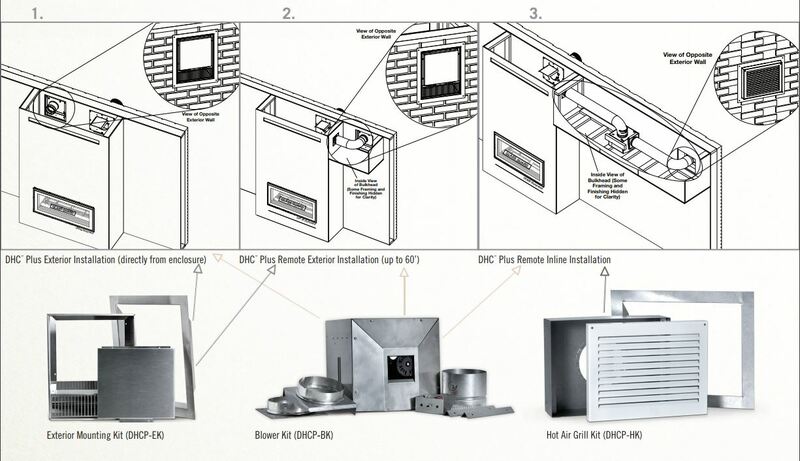 The Dynamic Heat Control™ Plus system can be installed three different ways. 2. Remotely (up to 60’ from the appliance), both will require a blower kit and an exterior mounting kit. 3. The blower can be mounted inline by ordering both a blower kit and a hot air grill kit. Front opening illustrated with Napoleon’s Dynamic Linear Grille, painted to match wall color. 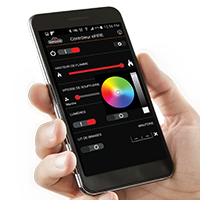 The Dynamic Heat Control™ Plus System can be conveniently controlled from either the eFIRE app or the fireplace remote control. Perfectly convenient comfort. 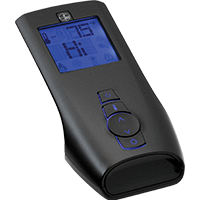 Alternatively, the DHC™ Plus fan can be hardwired to a manual switch or integrated with a home automation system. The DHC™ Plus system is only available with appliances that have the Dynamic Heat Control™ system (currently the Luxuria™ and Vector™ series) either Front or Rear Open Room(see images below). Uses an air outlet opening that will be built into the front of the constructed enclosure, at the top, centered above the appliance. 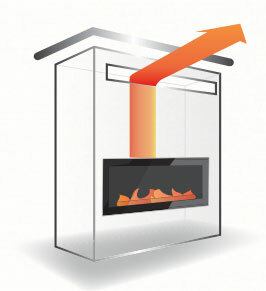 transfer heat into a different area of the room or to avoid the need for the air outlet on the front face of the enclosure. uses a high performance fan to move unwanted heat outside. 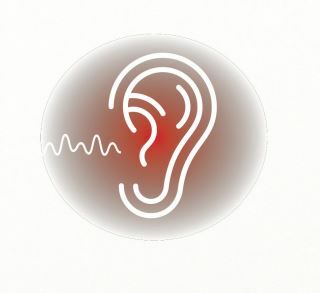 Similar to a bathroom fan or stove range hood, the use of a fan to move air results in sound.